There are times in your life when people have hurt you so much, so badly without thought to your feelings, emotional well-being or even physical well-being; and most times you’re hurt by the ones you love. A child born to a parent comes into this world innocent, sinless, faultless. That child depends on the parent for care, for sustenance, love; but when the parent violates the child, in some cases by harming them, neglecting them, abandoning them, molesting them, scarring them or whatever pain that has been inflicted on this innocent, it never goes away. The teacher who embarrasses the child in class when the child doesn’t know the answer to a question so the other children laugh and scoff at the poor humiliated child has sinned against not only the child, but also against the spirit that is within that child. The child who abuses and beats the parent, steals from them, humiliates them, again has affected the spirit within the parent. The husband who has abused the wife physically and emotionally; who has brought her STD’s and has had mistresses upon mistresses unapologetically and vice-versa, leaves a terrible impact on the psyche of each other; the one that is hurt, again as I have said before, also that person’s spirit is hurt. What I know for sure is that God loves us all, no matter who you are, no matter what you do, no matter what your orientation in life, your goals and aspirations and every human being that is living on this planet has a guardian angel (Your Guide) that watches over them. Whether you believe or not, I care not, it is so and there is a universal law and this law will never change; it has been around since the beginning of creation and will remain so throughout the end of time and that law is the law of causation; in other words, cause and effect. Call it Karma if you will….what goes around comes around, to explain it further. Anything that you do has been done already back to you. People have to choose their actions well in life, think carefully about hurting another. The force that is called God made us all and even if we do not believe it, he loves us all as a parent should love a child. God has given us all many keys to unlocking doors to assist us on our journey here in life. One of those keys is tears. There is a mystery with tears and tears are keys that is given to us by God. It is the first thing to show itself when we arrive here on earth. The baby at the birthing table, the child cries when it wants the attention of the parent, so from an early age we are given this power. We cry to God for favor, we cry when we are happy at times and also when we are sad. 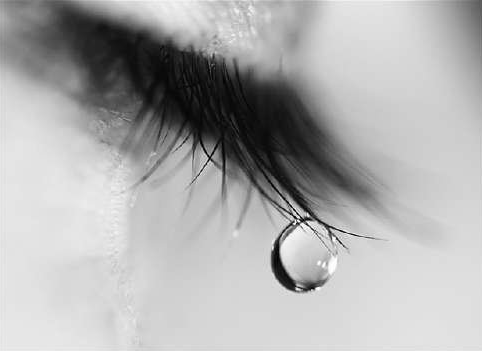 Tears are mysterious and they can arrive at any time and for whatever reason; but when it comes to defending us tears are a great weapon, because once you are true and clean-hearted God will stand still and listen to your cry and give you victory like a good parent does once tears are present. Let me tell me something that happened many years ago. After the breakup of me and The Wicked Baby Father, I was left with the children on my own. My business had been destroyed and things were very rough. One night the wicked baby father’s equally wicked mother called me saying that she was checking on how the kids were, which got me upset because she knew bloody well that the father was not doing anything for them and that we were struggling. I was upset while she spoke and I cried very hard recounting the horrible relationship I had with him while we were together, how terrible he treated me and the children and it was because of him that I had lost my business. What I did not tell her was that a friend of mine had just opened a new business for me and that I had just started again with my hairdressing a couple of days before this phone call. I ended our conversation swiftly by telling her good night and I hung up. That night I visioned that I was in my shop which had 13 chairs,hair stations, and while I was washing someone’s hair the shop door opened and an Italian, mafia-looking man dressed in full black walked in. His hair was pulled back into a ponytail and he sat at the first station that was by the entrance. When I saw him I recognized him from a previous vision that I had, which I will tell you about another time. I was shocked and frightened because I knew of his power but did not know his name. I tried not to show my fear and I asked him ‘can I help you?’ he slightly twirled his body to me and looked at me and said ‘the master sent me to look after you’ then he said ‘how much is it to do my hair?’ Trying not to sound nervous I asked ‘what do you want to do to your hair?’ He said ‘what about a perm?’ I said ‘you don’t need one.’ He said to me ‘step outside with me for a minute’ With heart beating fast because I knew of his power, I went. As we stepped out on the sidewalk he turned to face the window of my shop which had half the glass piled high with red phones to the top, one on each other and the other half with black phones piled high one on each other. He said to me seriously ‘choose a phone out of the red and black colors, choose a phone’ I timidly chose the red phone and then I jumped up out of my sleep only to hear my phone ringing which must have woke me up. It was 6 am according to the cable box and I answered the phone quickly and groggily only to hear the wicked baby father’s mother on the phone and she said to me ‘Obara, remember last night when you cried and complained hard against my son’ I answered her and said ‘yes, what happened?’ she said ‘you should not cry again to another person so hard’, again I insisted ‘what happened?’ She said ‘my son is in the hospital, he was at a game when he collapsed; the doctors don’t know what is wrong’ and then she hung up. He ended up recovering from whatever, I don’t know what it was; but when I examined what it was from a spiritual point of view, that night when I cried while remembering the horrific abuse that I suffered at the hands of that wicked man, my guardian angel came to defend me, but because God has given man free will and possibly because my children are related to this man, my guardian angel gave me a choice of what type of message I wanted to receive via the telephone of this man. If I had chosen the black phone he would have died. The red phone was chosen by my subconscious and it represented judgment. So regardless of his maltreatment of me, I was still compassionate. The minute I chose the red phone my physical phone rang to give me the news that he was hospitalized. We all should take care of who we hurt in life; no one is bigger, higher or mightier than the next. Being a billionaire does not mean that one is better than the homeless. As a matter of fact the homeless might be the one with the better heart, the compassionate ways, and the selfless spirit. We should all rethink how we treat each other because there is no crime that goes unpunished…at least not by God. The spider that knows what it will gain sits waiting patiently in its web. The praying mantis is never tired waiting all day…….Yoruba Proverb. Oh the power of tears! !